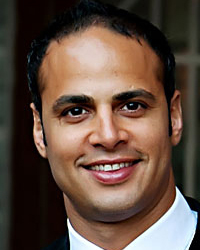 Dr. Aaron Nauth earned his Medical Degree at Queen’s University and completed his orthopaedic residency at the University of Toronto, followed by two fellowships: Sports Medicine and Arthroscopy at the University of British Columbia and Trauma and Upper Extremity at the University of Toronto. Dr. Nauth’s clinical focus is orthopaedic trauma, soft tissue reconstruction and arthroscopy of the knee, shoulder and hip. His research focus is on the basic science of fracture and tendon healing with stem cell therapy in addition to conducting randomized clinical trials in orthopaedic trauma. To date, he is the recipient of several prestigious awards and grants, including the Canadian Orthopaedic Research Society Founders Medal Award for Best Basic Science Paper in 2012 at the Canadian Orthopaedic Association Annual Meeting in Ottawa, and peer reviewed grants from the Physician Services Incorporated Fund and the Orthopaedic Trauma Association in 2013 in both basic science and clinical research.